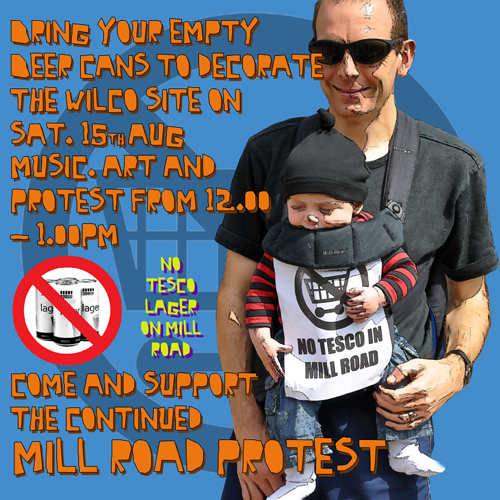 Saturday 15th August, 12-1pm will see another event outside the Wilco site. We will be continuing to put pressure on the council to act but also raising awareness about the Tesco’s application for an alcohol licence (which is due to be heard on Monday at the Guildhall at 10.00am). We would ask you to come along and dress the fence with us between 12 and 1pm, bringing with you empty beer cans to form part of our artistic intervention. Please come and make your voice heard in an artistic and legal way!